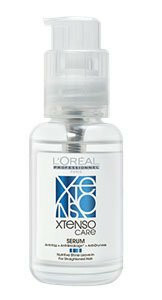 L'oreal Professionnel X-Tenso Care Serum Is The Ultimate Solution To Combat Fizziness And Dryness. 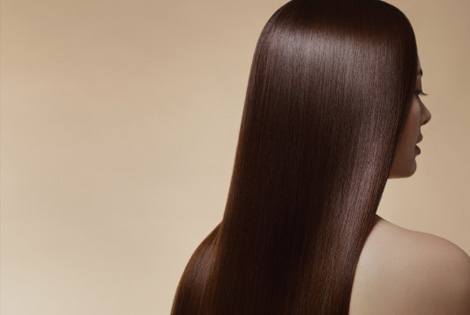 The Pro-Keratin Treatment Is Ideal For Hair Nourishment. The Serum Is Developed To Provide A Long Lasting Shine To Dry And Lifeless Hair. The Travel Friendly Bottle Can Be Carried Around With Ease. L'oreal Professionnel Believes In The Powerful Combination Of Advanced Research And Professionel Expertise To Create Products That Your Hair Always Wanted. With anti-breakage and anti-dryness action, this nutri-reconstructor serum nourishes straightened hair, respecting the fiber integrity. The Prokeratin-Incell fusion recharges depleted moisture evels and controls volume**. The Xtenso care range owes its efficiency to the innovative Pro-Keratin and Incell technology developed by L'Oréal Research. A non-animal keratin which has the power to fix itself on the surface of the hair fiber to reconstruct its natural shield and offer daily protection. The Incell molecule penetrates deep down inside the hair to fill the fragile areas and protects the interior of the hair fiber. It really works well for dry hair, makes it soft and frizz free, very good, adds instant shine to the hair. This is one of the best serums I've tried till date. I tried using the shampoo and masque without the serum and I could see my hair getting frizzy. Definitely worth a buy.